The following is an email I sent to Linda Day Harrison from The Broker List, Mike Westgate from RealMassive, Ewa Baska from Buildout, Michael Lagazo from SVN, Lindsey Imperatore from The News Funnel and Julie Augustyn of Foundry Commercial, who as a collective are organizing the #LetsGetSocial Meet Up at the Aria Sports Bar on May 21 at 5:00 pm. I am working on another idea for ICSC, but this one is for Wednesday. For any of you that have stuck around, you know Wednesday is a stark contrast to the first two days of RECon. I wrote a blog post which discusses this: What's Wrong with ICSC RECon? If any of you have Leasing Mall credentials and want to give a presentation or lead a discussion on a topic of your choosing, I would love to have you participate. Because the Marketplace badges don’t work for the Leasing Mall, it makes things a bit more complicated, but upon further reflection, we can maybe make some lemonade out of those lemons. What if we SXSW’ified this concept? We can have events happening in more than one location on Wednesday! Events could be Facebook Lived or Periscoped or something else from one site to the other (wifi permitting). Since we had #LetsGetSocial and the Letsgetsocial.info website, I thought we might ride those coattails by calling Wednesday’s events #Letsgetsmart (plus that was one of my favorite tv shows as a kid!). 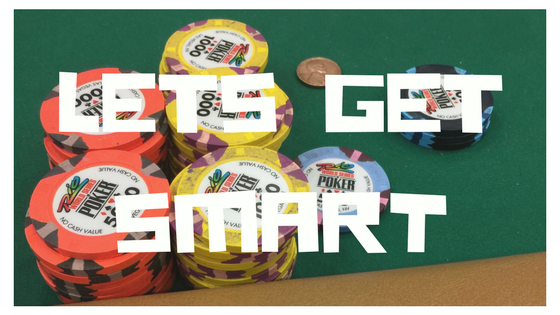 Just got the Letsgetsmart.info domain and will set that up. This group has done such an incredible job with #Letsgetsocial so I would love it if you wanted to participate on this. I have no idea what kind of turnout to expect given the nature of Wednesday, but it doesn’t need to be big to be good, and the impact that this has on ICSC could over time become significant. I am really excited about this. BTW, since we don’t have audiovisual equipment at my booth, I am suggesting that any of the speakers that want to have a slide deck send it to me in advance. We can upload it to the website and have participants follow along on their smartphones or tablets. I would love to hear your thoughts. We don’t have much time, but if we rightsize expectations for this year and let it grow organically over time, I think we can do something great. #LetsGetSmart now has its own website: www.letsgetsmart.info - be sure to visit for the latest updates on speakers and schedule! UPDATED: What's Wrong with ICSC RECon?